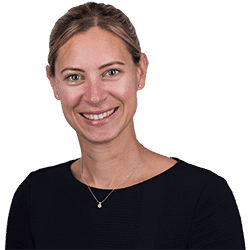 Gemma Osgood, Senior Associate of our Medical Negligence team has recently agreed settlement of a cerebral palsy claim for a family in Oxfordshire. Baby F was born at just over 30 weeks gestation. Prior to his birth his mother attended Banbury Hospital and was advised that she was in labour. The obstetrician advised that she would be transferred elsewhere to a hospital better equipped to deal with premature babies. Baby F’s mum then overheard an argument between the obstetrician (who wanted her to be transferred) and the midwife (who did not want the transfer to occur, presumably because she was worried delivery would take place in the ambulance). It was the Claimant’s case that as a result of this argument the midwife deliberately excluded the obstetrician from the rest of the birth. The labour continued to progress and the midwife deliberately ruptured the membranes. She also then commenced the use of syntocinon and applied a fetal scalp electrode. The Syntocinon was increased a number of times and the CTG trace worsened. Baby F was eventually delivered later that evening in very poor condition. He was subsequently diagnosed with cerebral palsy. He will never work or live independently and cannot walk. He will require care and support for the rest of his life and will also be under the Court of Protection to manage his finances. Baby F and his mother live alone in council accommodation which is totally unsuitable. He cannot use his wheelchair around the house and they have very limited outside support, so Baby F’s mum has provided virtually all of Baby F’s care to date. Baby F is now almost 14 years old. It was the Claimant’s case that that midwife had negligently managed the birth and made a number of decisions during the birth which were inappropriate and negligent. The Defendant admitted that the use of Syntocinon was inappropriate and that the fetal scalp electrode should not have been applied however it denied that these actions had had any impact on the outcome of Baby F. The Claimant also alleged that the membranes should not have been ruptured, and that Baby F should have been born some 21 minutes earlier than he actually was. Had Baby F been born at that time, it was the Claimant’s case that he would have been spared the brain injury which caused or materially contributed to his disabilities. Given the limited admissions by the Defendant, proceedings had to be issued at the High Court. The case proceeded with trial on all issues, with trial listed for November 2018. Detailed witness statements were prepared in respect of both liability and quantum. The Defendant was unable to provide a statement from the obstetrician, and the midwife in her statement said she was unable to recall any argument with the obstetrician. The next step was to exchange liability expert reports, and then the liability experts had their joint discussions which proved helpful to the Claimant’s case. The parties then began to quantify the claim. The Claimant’s schedule of loss totalled at just over £12.5million and the Defendant’s was just under £7.7million. Quantum expert reports were exchanged, and schedule and counter schedule served. A Round Table Settlement meeting took place in July 2018. Settlement was not reached at the RTM, however shortly afterwards the Claimant made a Part 36 offer which was accepted. The Part 36 offer was for a lump sum of £3.38 million, and then periodical payments of £50,000 p.a. until Baby F was 18, £100,000 p.a. from 19-59, and then £180,000 p.a. from 60 for the rest of life (although the evidence we had obtained suggested that Baby F would only live to age 55). Approval of the settlement was made by the High Court. Baby F’s mum is now looking to purchase a suitable home for them both. Having suitable accommodation will make a huge difference to their quality of life. It will increase Baby F’s independence as he will be able to use his wheelchair around the house and he will therefore be able to do more things for himself. It will also take some of the burden off his mum as she will be able to pay for some proper care and support to assist with caring for Baby F. Additionally they will be able to purchase much needed equipment which will also make life easier for Baby F. One of the things that upset Baby F the most was that his wheelchair could not be used in muddy conditions or on a beach, so his mum plans to buy him an all terrain wheelchair which again will increase his ability to do things and go to different places. Our Court of Protection team are now instructed to act as Deputy and manage Baby F’s money for the rest of his life.